With his sonorous tone and his watershed style, tenor saxophonist Dustin Laurenzi is one of the most promising emergent talents on the Chicago scene. With his various ensembles, in a few short years, he has recorded handful of uniformly exciting sessions. Their trademark is their foothold in the jazz tradition while simultaneously flirting with a freer more modern sound. On his Natural Language Laurenzi and his quartet interpret seven of his fluent and intriguing originals. The individual expressions of the group members coalesce and form delightfully dark and mesmerizing melodies. The vibrant and organic group performances seamlessly recede to allow for each musician's spontaneity to shimmer through during their elegant solos. These, in turn, dissipate and melt back into the densely woven sonic tapestries. Restless thumping refrains open the energetic "Weller." Out of the expectant rhythmic rumble rises guitarist Jeff Swanson's acerbic soliloquy with ringing notes and resonant twangs. Laurenzi's fiery, hypnotic vamps underscore the otherworldly ambience. As bass and drum beats become more angular Laurenzi and Swanson engage in a passionate and spirited duet with the latter letting loose crisp, blistering phrases. Drummer Charles Rumback takes center stage with his unaccompanied thunderous polyrhythms that thrill and fascinate. Rumback's gallop and bassist Mike Harmon's muscular reverberations set a taut and piquant mood on "Big Talk." Laurenzi and Swanson echo one another in haunting, musical fragments. This mosaic serves as a backdrop for Laurenzi as he improvises with soulful swagger and bluesy groove. Swanson's sparse chimes add a touch of mysticism as they punctuate Laurenzi's monologue. On the melancholic and seductive "Counterpoint" Laurenzi's breathy saxophone and Swanson's mournful long lines create an ethereal atmosphere. Rumback anchors the tune with his suave and earthy brushes and cymbals. Harmon's intricately crafted extemporization brims with introspective lyricism. Laurenzi's own turn in the spotlight follows in a natural progression maintaining the same modal structure and poetic sense. Natural Language is an engaging work that simultaneously captivates and stimulates. With it Laurenzi exhibits his intrepid musicianship and superb compositional skills. His unique voice has matured fast over the past four years yet remains singularly recognizable. This superb album is another milestone in his brilliant career. Track Listing: Little Wheel; J.P.; Counterpoint; Weller; Folk Song; Walter's Song; Big Talk. 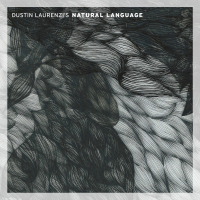 Personnel: Dustin Laurenzi: tenor saxophone; Jeff Swanson:guitar; Mike Harmon: bass; Charles Rumback: drums.